When it comes to supplements, BPI does everything possible to go harder. The fat burner Roxylean by BPI is one of the strongest on the market. BPI A-HD is one of the strongest once daily test boosters. And of course, BPI 1MR and 1MR Vortex are insanely strong pre workout supplements. To add icing to the cake, all of these supplements are substantially less expensive than the industry averages. With that in mind, if you can physically and mentally handle all the power 1MR and 1MR Vortex has to offer, then you have it made. Here we’re going to talk all about BPI 1MR and 1MR Vortex pre workouts. Specifically, we will do some comparisons between the two and help you decide which is optimal for your personal goals. 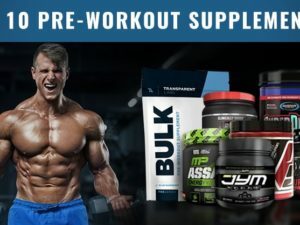 If you have experienced these great pre workouts, be sure to comment below and share your knowledge. 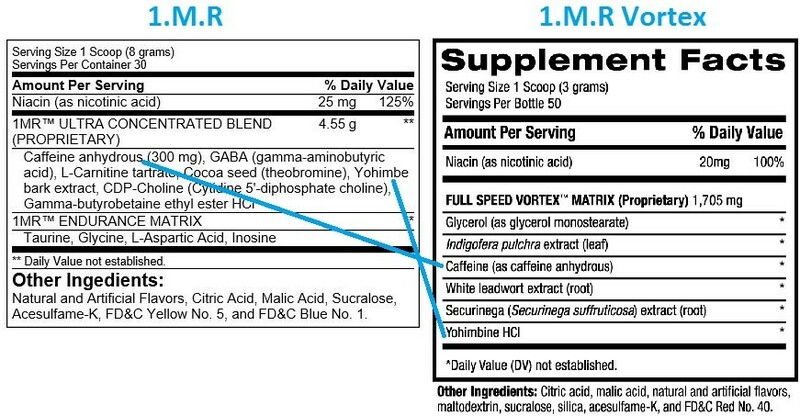 As you see in the direct comparison above, BPI 1MR and 1MR Vortex are not similar aside from caffeine and yohimbe, two leading stimulants. Atleast, that’s how it looks initially. 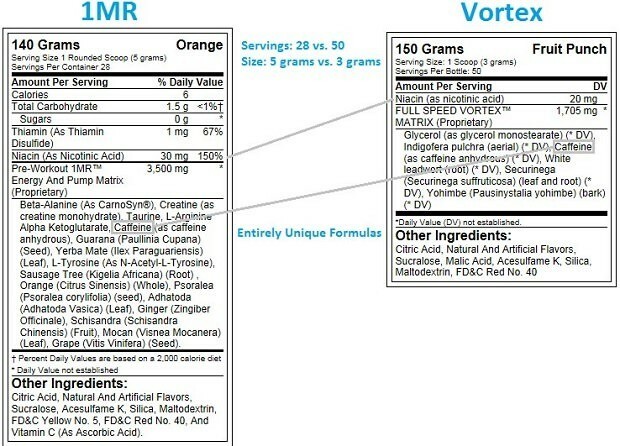 But, GABA in 1MR is directly comparable to Securinega in 1MR Vortex since this ingredient upregulates GABA naturally. Likewise, theobromine plus CDP-Choline can be some-what comparable to Indigofera Putchra and White Leadwort – as when added to caffeine and synephrine they all increase energy and focus. This creates a net overall feeling that is similar, despite each having more unique effects when taken independently and compared. While both of these pre workouts can be summarized as “super stimulants”, Vortex does break away slightly with the addition of Glycerol for muscle pump, and utilizing pure Yohimbine HCL. Yohimbe has been utilized for years by large companies like Muscletech and BPI. This is because Yohimbe is a proven fat burner that works very well, despite its side effects. The side effects of Yohimbe include extreme sweating, heart palpitations, and feelings of anxiety to name a few. This doesn’t happen to everyone, but to those sensitive… Its real noticeable. Due to these side effects, the effective compotent of yohimbe (yohimbe bark) was extracted – Yohimbine. This pure extract tends to have less of the negative side effects associated with full spectrum Yohimbe bark. We have talked to a lot of guys that have taken 1MR and 1MR Vortex, and the differences between the two can be summarized as – 1MR provides super stimulant energy in a great tasting powder, while Vortex is the most efficient small-dose super stimulant with an edge of pump you will notice. But in all, these are both pretty similar and it’s safe to say that if you like one version, you will like the other. While writing this review, we have assumed that you are most likely familiar with either 1MR or Vortex. If you are not, just know that these are very strong pre workout supplements and not everyone can handle it. These products are for guys that demand as much energy as possible. 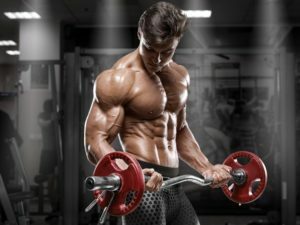 If you are content with your current energy and/or just want a decent boost along with pump, creatine power, and endurance then it’s OK to look else ware.